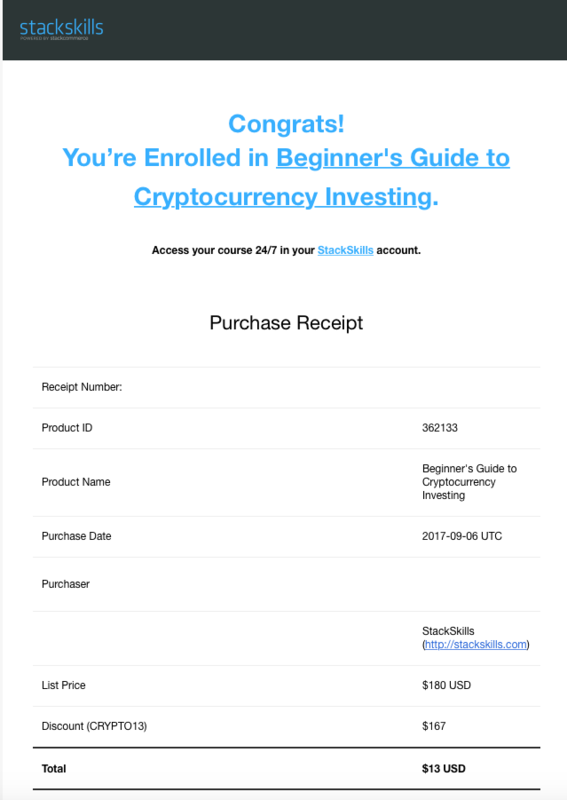 After seeing Jerry Banfield video's, actually it was a online training that i bought on stackskills.com "Beginner's Guide to Cryptocurrency Investing" I gave it a shot, and today I took the big step and bought my first crypto currency and replaced it with STEEM. I must say as a non native english speaking dutch guy, his explanation was excellent and no problem for me to understand. Whats i did like the most of his videos was his level of enthusiasm. In the way he presented this course, it was really fun watching it. For some one who studied criminology, and has no degree or job in some kind of financial sector he knows his stuff very well. So anyone who's trying to make some money with Cryptocurrency, I advice you strongly to buy and watch his video's because that was the best investment I made in the last couple of years. Thanks, more to come in a couple of days.